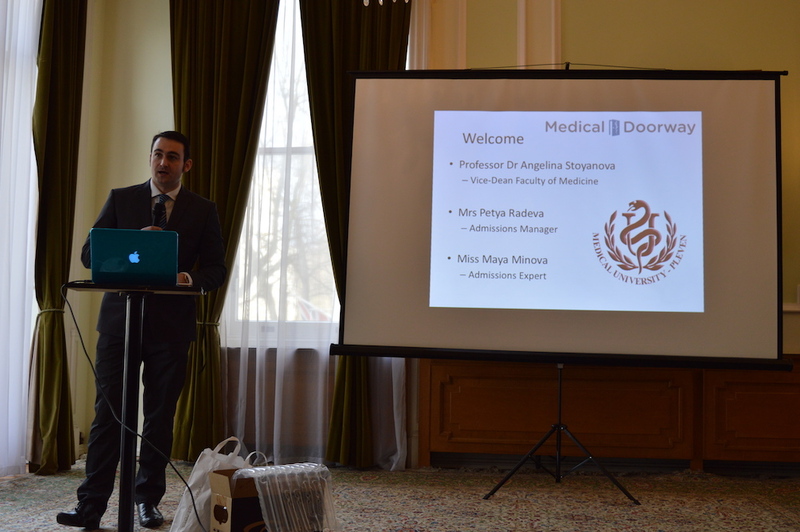 Saturday 9th January 2016 saw Medical Doorway hold their exclusive pre-departure briefing for Pleven Medical University at the Bulgarian Embassy in London. 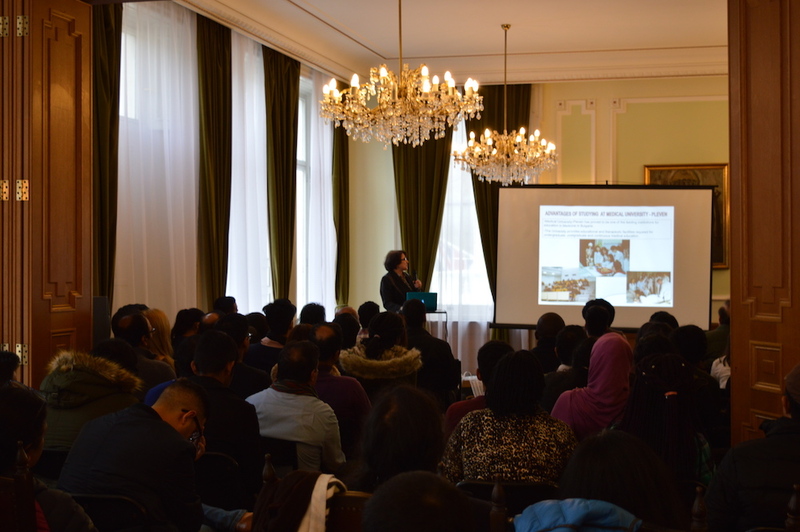 Over one hundred guests comprising of students and parents attended to learn about their future at Pleven Medical University. Ben Ambrose (Managing Director) welcomed the guests and gave thanks to His Excellency Konstantin Dimitrov (Bulgarian Ambassador to the UK) for his special permission to use the embassy for this event. Third Secretary Mr Tsvetin Spasov represented the ambassador with Professor Angelina Stoyanova (Vice-Dean), Mrs Petya Radeva (Admissions Manager) and Miss Maya Minova (Admissions Expert) representing MU-Pleven. Professor Stoyanova delivered the official welcome to MU-Pleven. Her presentation highlighted the illustrious history of Pleven Medical University in training tomorrow’s medical practitioners. MU-Pleven was the first medical university in Bulgaria to teach in English. The university is the most experienced medical university in the country when welcoming and educating international medical students. This has made Medical University Pleven one of the most popular universities for those looking to Study Medicine in Europe. Ben Ambrose spoke about the experience of becoming an international student. This included special attention to the initial academic shock of commencing medical studies and adapting to life in a new country and culture. Ben used his own experiences from international education to reinforce the theoretical points discussed. Students were keen to hear about the enrolment process. 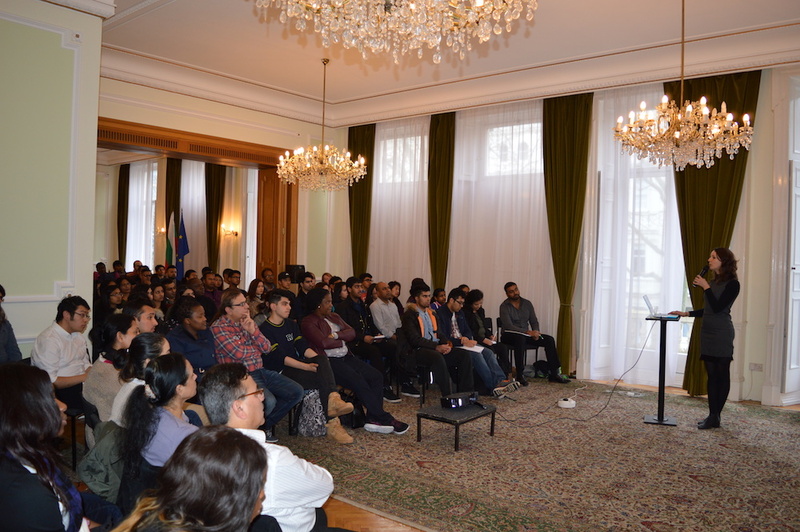 Mrs Petya Radeva explained everything regarding arrival, registration and the official procedures students go through when arriving in Medical University Pleven. Maya Minova’s talk on “Fresher’s Fortnight” was one of the most popular presentations of the day. Maya discussed the orientation activities which includes a complementary tour of Pleven’s world famous museums. Medical Doorway’s Tony Hyde (Head of Student Counselling), informed students about the arrival procedure at Sofia airport and the arrival and enrolment support offered FREE of charge by Medical Doorway. Are you an aspiring medical student and want more information on studying at Pleven Medical University from February 2017? E-mail the Medial Doorway team at [email protected], call +44(0)1782-898151 or visit the Medical University Pleven page of our website, complete the application form and take the first step in studying medicine at Medical University Pleven.